Today, I’d like to share a little mystery with you. It began two weeks ago yesterday. Motor Man and I had gone to the Outer Banks, and had taken a business associate and his wife out on the beach to see the horses. As you are aware if you’ve read my previous OBX posts, we get an early start when we ride out on the beach. 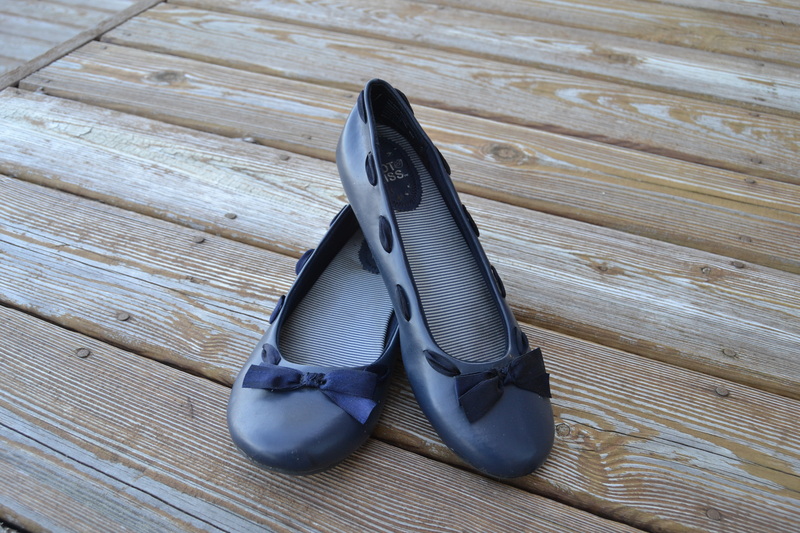 That particular morning, it was a little chilly, so I wore an inexpensive pair of navy blue flats. Enough to cover my toes, but not “sock and shoes”. I also carried my flip-flips, because I knew I’d be walking in the sand. It wasn’t long into our trip that the flats were off, and the flip-flops had taken their place. When we returned back to the cottage from our ride on the beach, I placed my flats, my camera and my purse up on the passenger seat of the Jeep. I went upstairs to pack our things and tidy up the cottage, while Motor Man washed the Jeep, which we leave at the cottage. As we were walking out, I mentioned that I needed to get my things out of the Jeep, and Motor Man told me that he’d already put them in the truck. On the way home, we stopped at a farm market, and bought gourds, pumpkins, Indian corn, etc. Somehow it seems that the back seat of our truck is always FULL, so finding places to put all those things was a challenge. Once we were home, Motor Man and I took the farm market items out of the truck and put them in the garage. And he brought in all our things from the beach. As I began putting things away, I realized I only had one navy blue shoe. We searched the truck: no shoe. We decided that he must have overlooked it, and that it was probably still in the Jeep. But the next day, I also had a thought that perhaps the shoe had fallen out when we were loading up the pumpkins at the farm market. I called to ask if they’d found a shoe, but no luck there. A week or so later, we had to run an errand not far from our cottage, so we stopped, and Motor Man checked the Jeep. No shoe. But on the way home, he realized that he hadn’t looked UNDER the Jeep. Perhaps, as he was taking things out of the Jeep, the shoe had fallen under there. Last weekend, on our trip to the cottage, we looked UNDER the Jeep: no shoe. Although I couldn’t bring myself to toss out the mate, I had given up any hope of ever finding the missing one. The only logical conclusion was that I had accidentally dragged the shoe out of the Jeep during one of our stops on the beach to take pictures of the horses. And by now, my poor little shoe was either covered with sand or had washed out to sea. Tuesday morning (two days ago), as I left home and was driving up our street, I saw…..upside down, in the middle of the street….. a shoe. I had driven by it, but I put the car in reverse. Surely, it couldn’t be MY shoe. But, yes….it was….my shoe. Motor Man and I had driven up and down our street dozens of times in the past two weeks. I’d walked up and down the street several times on my morning walks. So, the mystery is: how did my shoe come to be in the street after all this time? I could leave you in suspense until tomorrow, but I won’t. Motor Man solved the case. 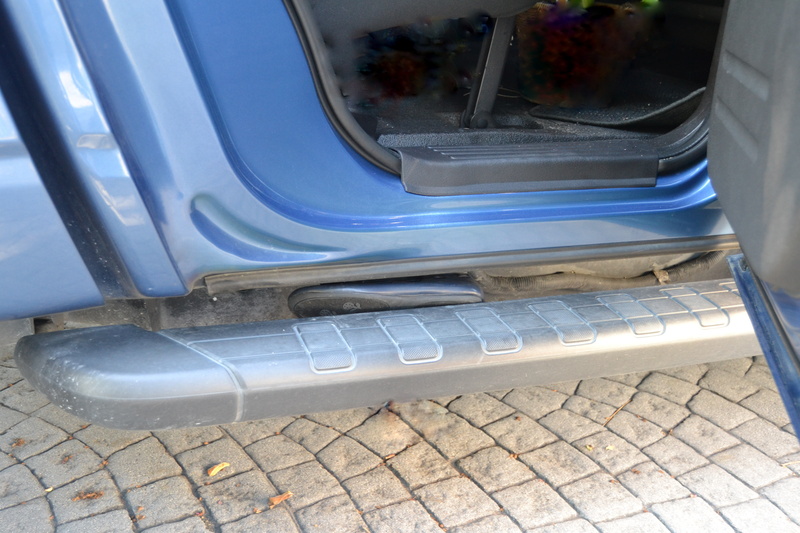 Our truck has “running boards”, and under the running boards are brackets, each of which is about the length of my shoe. He suspects that, as he was unloading the truck, the shoe fell and landed on one of those brackets. Where it rode for almost two weeks, obviously falling off as we returned home Monday evening. And, of all the miles that we’ve driven that truck in the past two weeks, it just happened that my shoe fell off its perch within sight of our house.